I like the chase in the end. Overall a very good film. Wait isn't this movie set in the 70's? What's with the 81 Impala? Red Grant wrote Wait isn't this movie set in the 70's? According to Roger Ebert's review, it's based on "actual events in the Dakota reservations in the early 1970s when a militant group named American Indian Movement defied the FBI". "The events upon which the story is based happened in June 1975. There is a portrait of Richard Nixon in the FBI director's office. Nixon resigned in August 1974. Gerald Ford's picture should have been there. 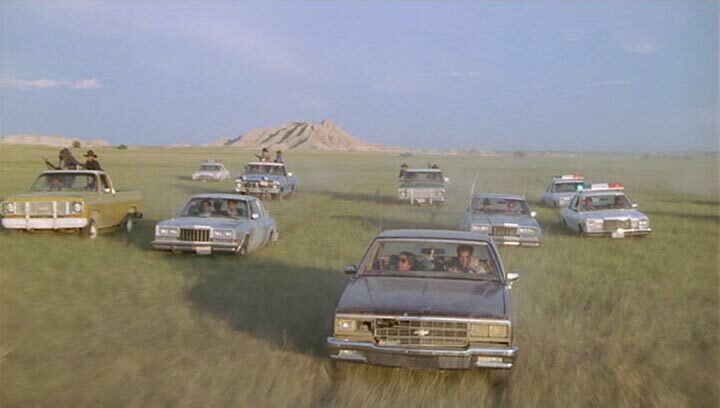 Also, as Val Kilmer is driving in the opening sequence, "Badlands" by Bruce Springsteen is playing on the car radio. The album containing this song was released in June 1978. 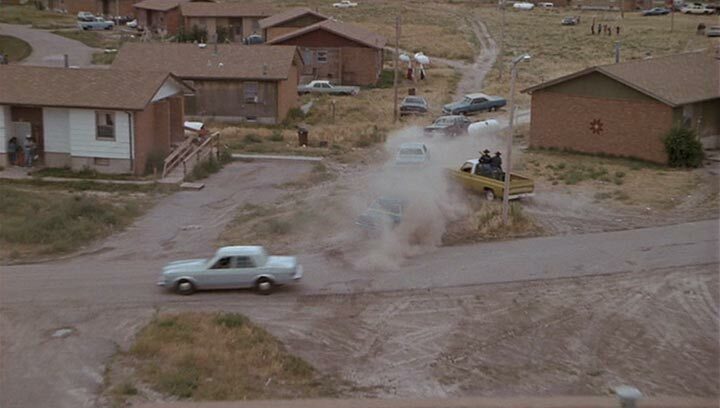 The car driven by Kilmer in the opening scene is a Ford Mustang convertible which wasn't released until 1983. Many of the Federal Sedans, most notably the 1981-1985 Chevrolet and the 1980's Chrysler M Body are also anachronistic to this setting."